The morning after a world cup win is by nature a rather tired one and in true German style had to be started with a good bottle of beer in order to boot up team Lipsticks system. 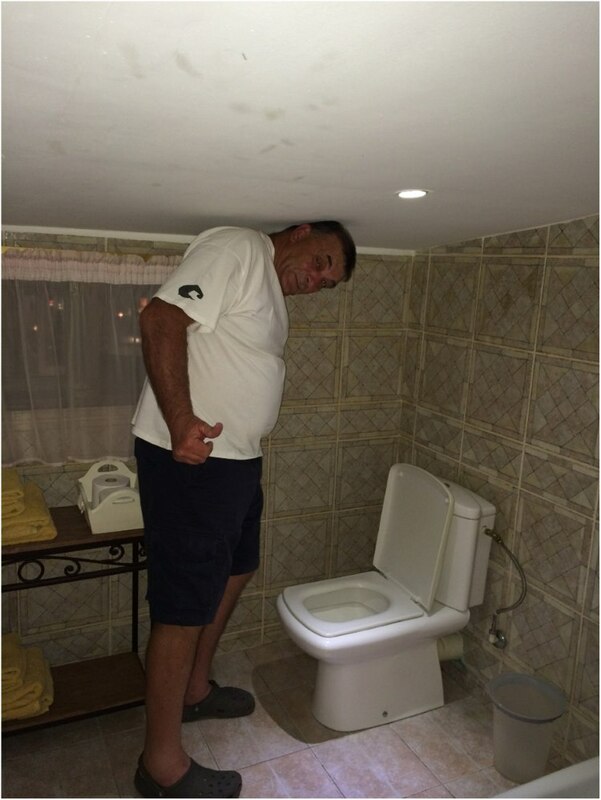 Sit down or headache – Ceiling heights in Cameroun.. Thereafter a lazy day was had around the pool with all maps out to plan the trip forward and to updated the web pages and communicate with family back home. A very nice dinner was had prepared by the Cameroun chef of the B&B and Lipstick was packed for the journey next day leading the team to Gabo. 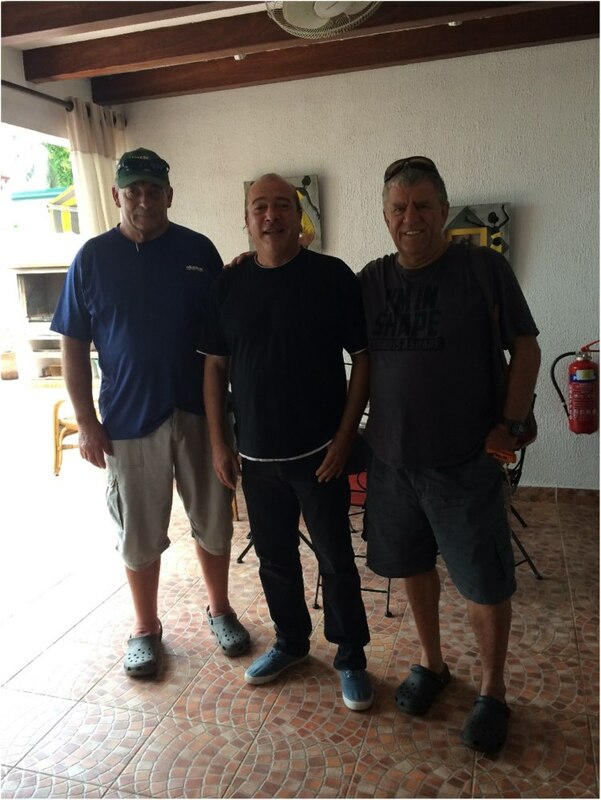 After a nice breakfast early morning the team bid farewell to Sergej one of the 2 owners of this beautiful place right on the Atlantic ocean and after discussions with him and the receptionist the team decided to take the route via Lolodorf and Ebolowa towards the Gabon border. 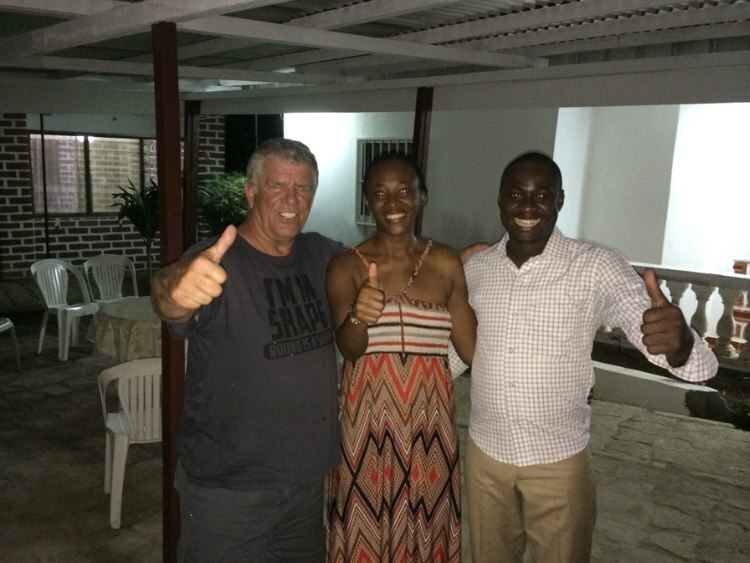 Bibi Sergej we had a great stay at your place in Kribi…. 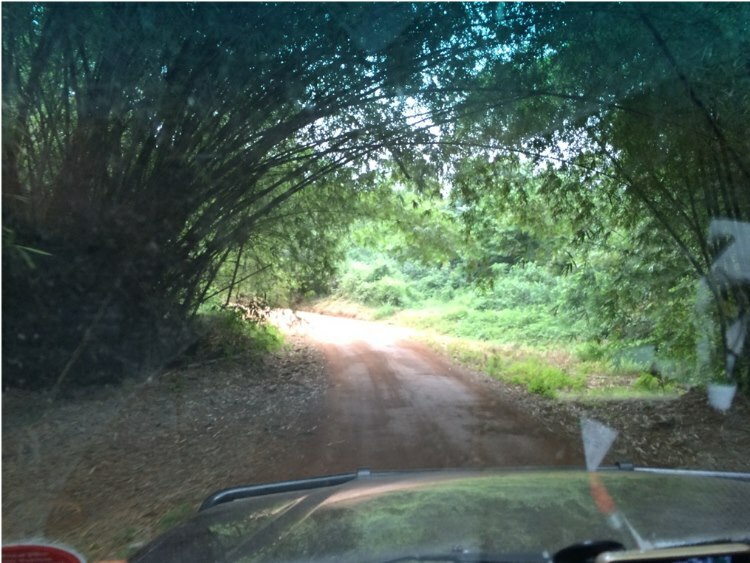 The team expected a gravel road which started off well but after some 40km the road became smaller and smaller and the bush around became thicker and thicker – this was now real rain forest area. After Lolodorf the road became so narrow that it is impossible to accommodate 2 cars and on 2 occasions Lipstick had to park in the bush in order to let an oncoming car pass. 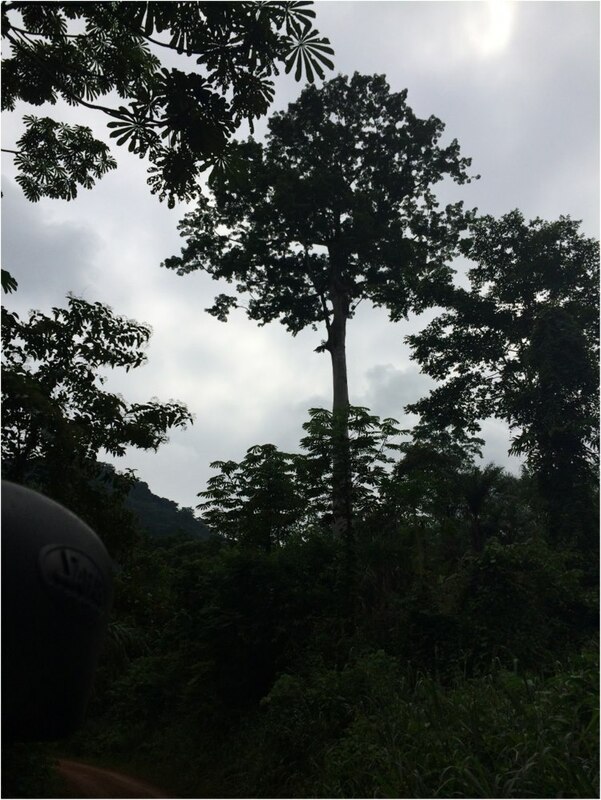 The size of the trees became bigger and bigger some of them reaching at least 50m in height. The road deteriorated with stones and huge potholes aver so often creating huge obstacles requiring nerves and patience to overcome. A breakdown or even a flat tyre would have been disastrous in this area and the team already visualized how Andre would have to start a long walk through the rainforest to call for help in the town of Ebolowa which is some 45km away and to plan forward the ratios of water and bully beef was decided upon for each team member in case of this to happen..
Lipstick now in the real rain forest of West Africa…hoping for no car comings its way.. 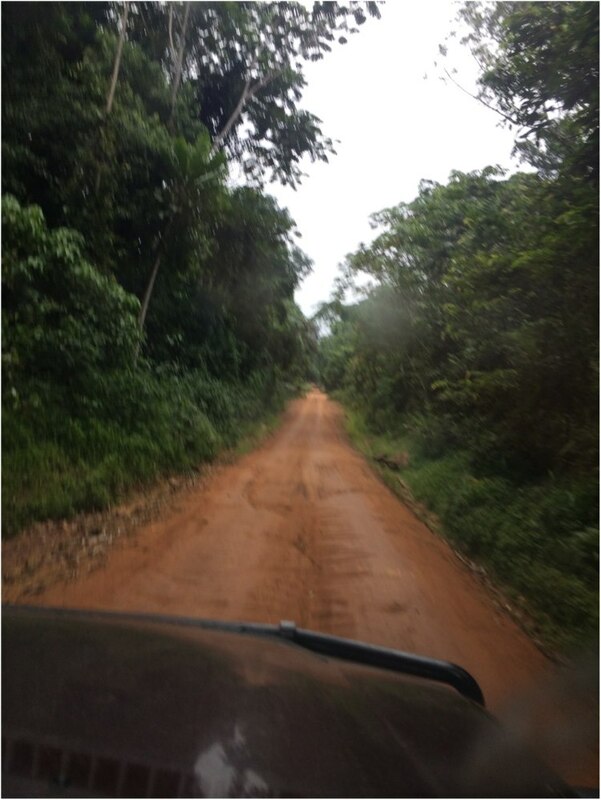 Nevertheless Lipstick made it through these real dense rainforests and the statistics showed that 4 hours and 50 minutes passes for the 165 km until Lipstick reaches the town of Ebolowa. From there a turn to right and Lipstick was on the way to the Gabon border which was reached by 1.30pm .As happened before on other borders Lipstick had to drive 3km back to a little town in order to visit the customs office and have the Carnet de passage stamped but thereafter the proceedings with passport control wend smoothly and after crossing a bridge Lipstick arrived at the Gabonese police station and Customs office. 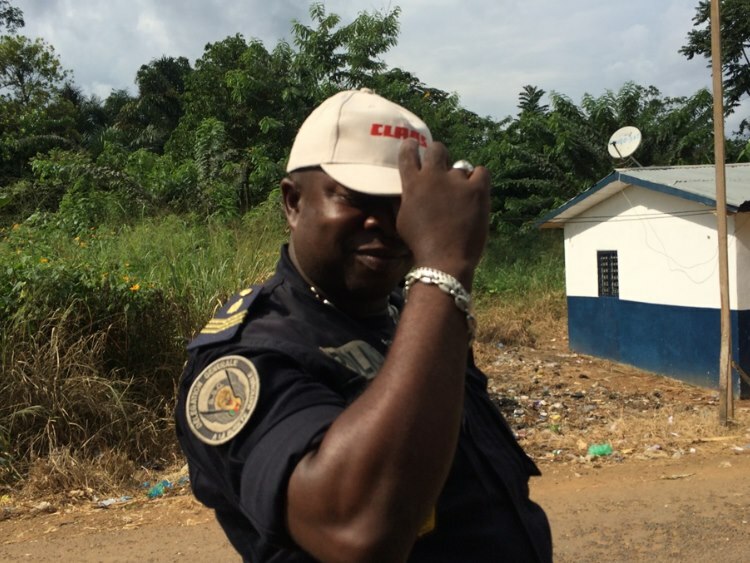 The carnet was no problem at all and duly stamped into Gabon whereas the police department requested the team to drive to the next town called Bitam and have the passports stamped there at the Immigration office. 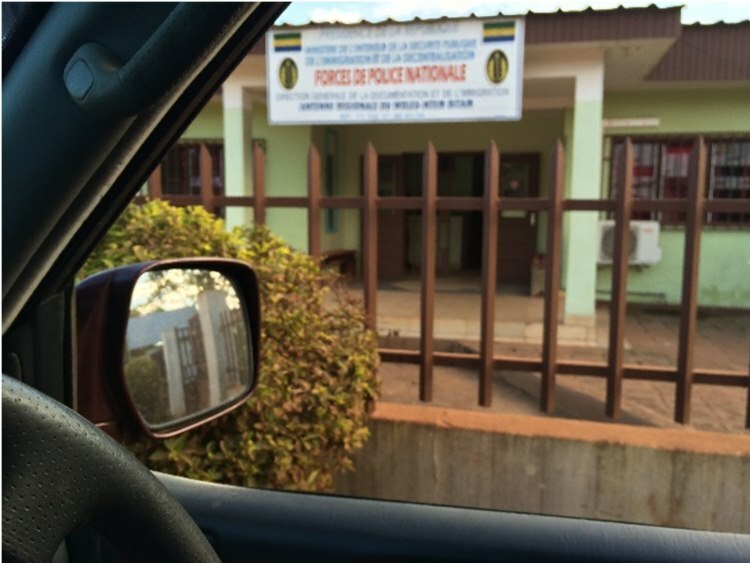 The immigration office required extra copies of the Gabon Visa which the team obtained at and office opposite the road and the team assumes that the copy shop and the immigration office must have a close business relation. Andre assisting the border official with procedures…. The procedure took about 30 minutes which is pretty fast for West African borders and Lipstick was off to Oyem the chosen destination for the day. 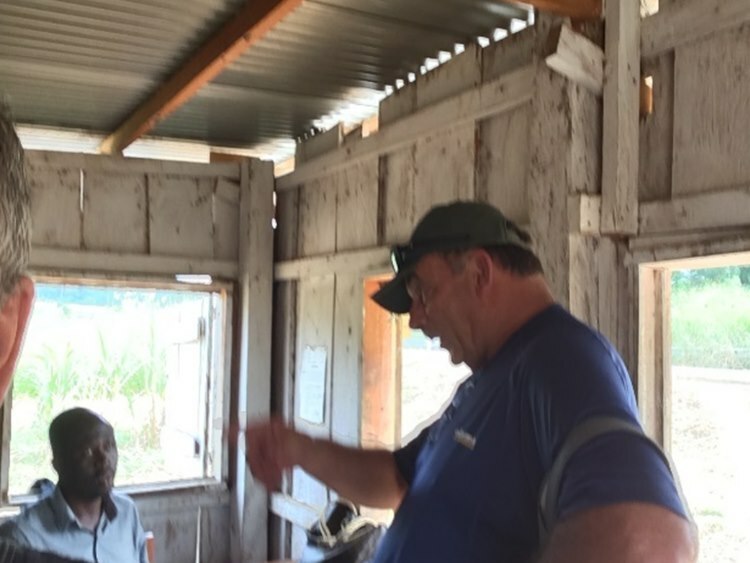 Team Lipstick were climbing into their stock of Cappuccino and J&B and had a few nice safari Irish coffees and chatting to WILLY and his wife Edith who gave them some directions for the morning towards Libreville.